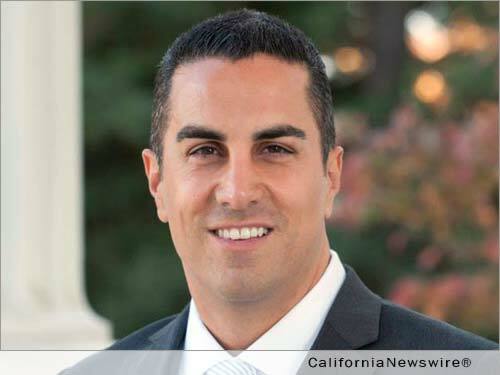 SACRAMENTO, Calif. /California Newswire/ — Today, Calif. Assemblyman Mike Gatto (D-Los Angeles) released the text of his proposed constitutional amendment, ACA 11, to reconfigure California’s regulatory agencies. The ACA contains a strict mandate that the newly configured regulatory regime maximize consumer protection, public health, public safety, environmental protection, increased transparency, public access, and the ability of third parties to advocate for those in need. The legislation is joint authored by Assemblymember Marc Levine (D-Marin County) and Scott Wilk (R-Santa Clarita) and is co-authored by eight bipartisan members of the Assembly. The full text of the legislation is attached. The language comes out as the measure gains substantial momentum. On Monday, Speaker Anthony Rendon mentioned oversight including CPUC reform as one of his three priorities. And yesterday, CPUC President Michael Picker shocked a Capitol panel by stating that he was in favor of the same concepts Gatto has proposed. “Maybe we shouldn’t be doing telecom anymore, at all, nor should we be doing some of the transportation functions that we do,” stated President Picker. “Should things that are largely ministerial, like cable registration, be done by the Department of Consumer Affairs? Should TNC (Transportation Network Companies) and limousine regulation be done by the DMV or the CHP?” You can watch a video of Mr. Picker’s comments here. “The CPUC is spread too thin, and has too many issues within its jurisdiction,” said Gatto. “It is time to think about how we can make it more focused, specialized, and accountable,” said Gatto. Gatto’s proposal, the Public Utilities Reform Act, will modernize the CPUC and provide greater accountability for Californians. “ACA 11 will be the first step in making sure that, no matter where you live in California, you can sleep safely at night knowing that a gas line won’t implode and that necessary protections have been put in place so that our electrical infrastructure is safe and reliable and not subject to risks from terrorist attacks to cyber mischief,” stated Gatto.